Conditions of the skin can affect even the youngest patients. The providers at Associated Dermatologists understand just how difficult it can be dealing with childhood skin conditions. In fact, we’re all moms! Dr Westhoven has three school-age daughters, Dr Robbins has two wonderful children, and our P.A. Jaime Dunn just recently welcomed a new baby girl into the world. As our children grow, so does their skin. Things like eczema, acne, molluscum, and many other conditions can cause concern for parents and self esteem problems for our little ones. 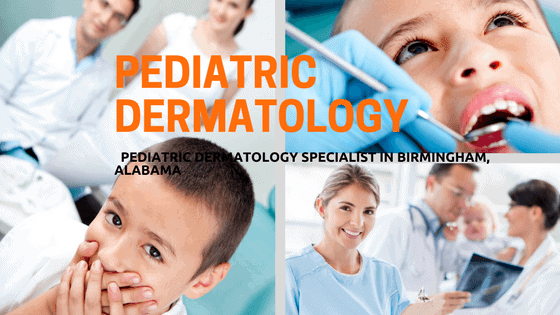 The professional staff at Associated Dermatologists understands those concerns and we’re here to help your entire family by providing professional and compassionate pediatric dermatology care. Many skin conditions are unique to childhood, and we’re experts at diagnosing and treating them. Acne, eczema, molluscum, and many other conditions can happen at an early age. It’s also important to begin good skin-care habits early, especially sun protection. And that’s why at Associated Dermatologists, our goal is to bring happiness, confidence, and comfort to every pediatric patient visit. We’re equipped to help your little ones understand the ins and outs of their bodies when it comes to skin issues, as well as help them feel comfortable in their own skin. We’re experienced when it comes to childhood skin issues and preventive treatment, so our #1 goal is bringing preventive maintenance and good, quality care to every pediatric dermatology visit. As parents ourselves, we know just how tough it can be, not just for our kids but for parents too! And that’s why at Associated Dermatologists, our professional and board-certified team members will ensure you get the best possible care no matter the reason for your visit. We’re here to help with diagnosis, treatment, and education for your entire family. We’re a full-service medical and cosmetic dermatology clinic located in Trussville, Alabama. Our office is just minutes from I-459 and the Pinnacle Shopping Center. You can reach our staff at 205.853.3960 to schedule an appointment for yourself or a family member. We’re looking forward to building lasting relationship with you and your loved ones by providing the best care possible in a professional and inviting clinical setting.